Sometimes It looks Like That is a hilarious and tender year-in-the-life of a teacher and her students at a last chance high school. Ava Llewellyn, 29, moves to San Francisco in an attempt to press the reset button on her life. But this small-town teacher is a fish out of water in her new teaching position and multicultural city. She’s unprepared for how to respond when a student’s essay declares that he wants to be the “best raper in the Bay Area,” what to do when the students she takes on a field trip shoplift most of a gift shop, and how precarious it is to fall in love with students whose lives are nothing like the rural teenagers she grew up with. Add a Nyqil addiction and an ex who keeps showing up at her door, and Ava’s headed for another crash and burn. Cue the best friend, the shaman, and the bipolar cowboy. Ava is a reluctant spiritual warrior, but unless she can make her “one wild and precious life” matter, she won’t be able to help her students assert that their lives matter either. My friend, Genyne, wrote historical mystery lesbian romance novels. They were as fabulous as they sound. She opened her home to the writing group I belonged to. She fed us. She scolded us over grammar and plot mix-ups and phrasing. She wasn’t afraid to voice her opinion, and we ate up her love. Ethel published her memoirs, “Snapshots and a Bagel” a few years ago. At her book launch, the local bookstore was packed with friends, family, and book lovers. Oh, and Isabel Allende introduced her. 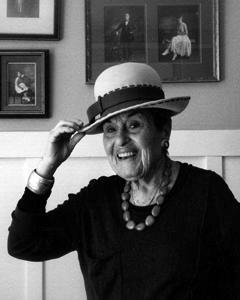 Onstage, Ethel told stories of people who had had an impact on her life and her work with daycares for the economically disadvantaged in Marin county. Her book was stacked into tall piles on a table at the back. The room glowed with love. Genyne and Ethel died on the same morning of the same day: One on the West coast, one on the East coast. Ethel’s book is in the world. Genyne’s beautiful work is not. David Whyte writes that when someone dies, we also miss what they loved through their eyes. Genyne loved my writing group and me in a particular manner that was all her own. She loved her characters in a manner that made her work glow. I miss Ethel. I miss Genyne. What stories do you have inside that want to find a home in the world? Sometimes It Looks Like That began as a baby turtle step. Months later, I joined a writing workshop based on narrative non-fiction. Now I have a beautiful novel. And I know that Genyne and Ethel played a huge role in bringing my novel into the world. With love.